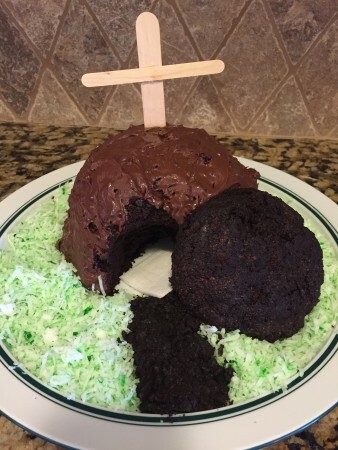 The minute I saw this link on Pinterest, I knew that I wanted to make it for our family’s Easter gathering. I followed that link’s basic plan, but wanted to share my own tip and tweaks. My 11 year old son, Jake, and I had fun making and assembling this the night before Easter. -Pre-heat the oven per your cake mix instructions. -Grease and flour 8 cup batter bowl all the way up to the top since the cake will rise. 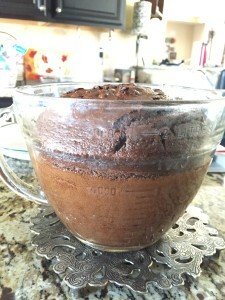 -Make cake batter per recipe and pour into prepared batter bowl. -Ours needed baking for 1 hour at 350 degrees to get it cooked all the way through. This is quite a bit longer than the box mix calls for. After the 40 minute mark, keep an eye on yours to see how it’s doing. Insert a knife through the middle to check for doneness. -Once baked, allow to cool before removing. Run a knife down between the cake and the bowl to loosen it before inverting the bowl to get the cake on to the cooling rack. 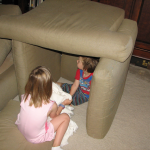 -When the cake is cool, slice off the puffy part so that it will make a flat bottom for the cave. ***Reserve the portion you cut off! -Set the cake on the back half of the platter with the larger flat side down. Carve out an opening in the front (see pictures). Make sure you don’t go too close to the top or the roof will collapse. ***Reserve the portion you cut out!!! -Ice the cake, reserving a dollop of the frosting for making the stone. Make the walkway in front of the tomb (see completed pic) by smashing Oreo cookies in a ziplock or crumbling a small portion of the reserved cake. Make the big stone by crumbling the remaining reserved cake and mushing it by hand with the reserved icing. 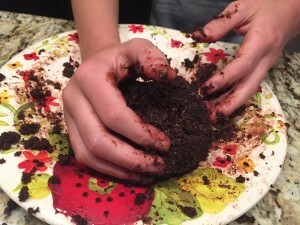 (Fun, but messy part for kids!) The consistency will be soft, but it needs to be firmly packed so that it will hold together. Wrap this in plastic wrap or wax paper and put in the freezer for about an hour so that it can firm up. There are a couple of options for this. 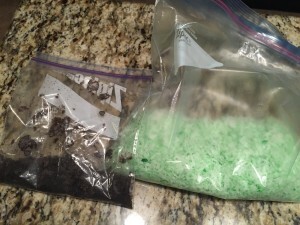 Shake the coconut in a ziplock with a few drops of green food coloring (see above pic). Or, toast the coconut for a more natural, earth toned, terrain. Spread around the cake and walkway. I thought about real twigs, but that ooged out the germ freak in me. So, we hot glued together 1 jumbo craft stick and 1 regular craft stick. Make sure to put the cross beam high enough to account for part of the vertical beam being in the cake. Lay whatever you are using to represent this inside the hole in the cave tomb. We used this guaze, but any small strip of white cloth (got an old t-shirt? 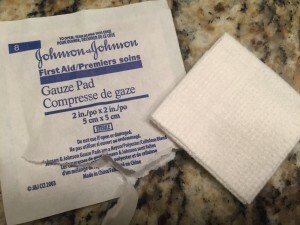 ), tissue, or tissue paper would work. While it’s baking or while everyone is enjoying munching on your creation, consider reading the Resurrection Story from the Bible, Matthew 28:1-10. 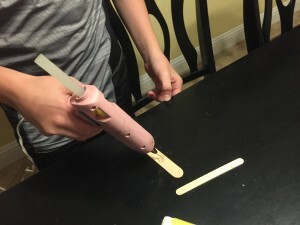 This is a great way to create a teachable moment out of a fun, hands-on family project for a most important holiday! For more teachable moment ideas, use Parenting with Scripture: A Topical Idea for Teachable Moments. 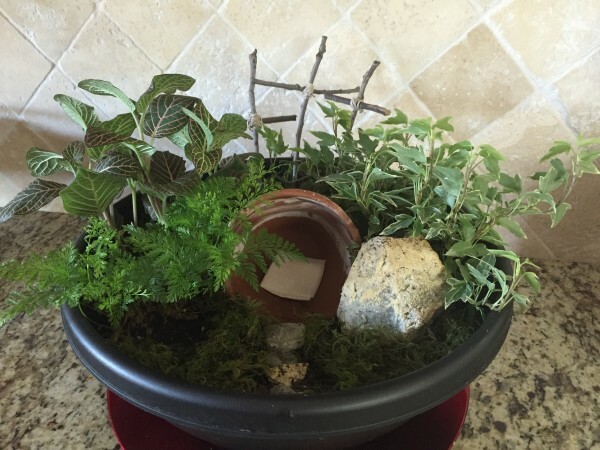 I’ve seen many different versions of Resurrection Gardens through the years and had always wanted to make one. Being a Type A person, I finally put it on my calendar for the following February to make sure we remembered to not let another year pass. 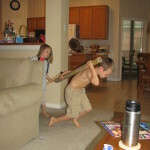 With my kids getting older, I’m realizing more and more how few years left we have to do such things together! 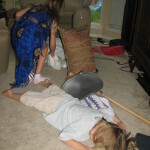 We had 3 other kids staying with us the weekend we did the project. So, I can say that this was a doable and fun project for 4 years old through 8th grade! 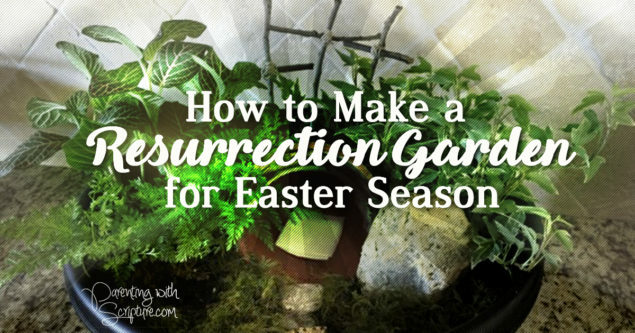 I browsed through Pinterest at the variety of Resurrection Gardens to find my favorite design and followed the basic steps here. However, I’d like to share my tips and tweaks of how we got our finished product. We divided the process over a couple of days as we had time and so it wouldn’t be overwhelming. -3 plants for whatever lighting will work for where you are keeping the garden. The kids enjoyed making the selections. 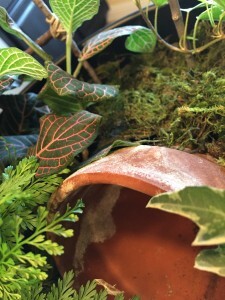 -small pot to use as tomb. You can buy a clay one like I used. But, I actually recommend using one of the round containers that the plants you purchase for this come in. Here’s why…After a couple of weeks, the pot started growing something white. *3 long sticks…make sure you account for the fact that part of them will be submerged in the soil. *Spread out all your supplies in your work space. The temperature was nice outside, but a bit drizzly so we worked on our covered patio. 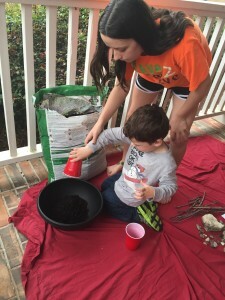 *Scoop dirt out of the potting soil bag to fill your large, shallow pot. *Before taking the plants out of their pots, arrange everything as you wish the scene to look. *Cover the top of the tomb and any exposed dirt with the moss. *Wipe any loose dirt out of the tomb and off the walkway rocks. *Use the twine or string to put the cross bar on the cross. Remember to put the cross bar high enough to account for the bottom part of the cross being stuck in the dirt. To attach the cross bar, simply wrap the twine around several times diagonally both ways and then tie it off in the back. Little hands will need help with this. *Put a bandage or tissue in the tomb for the effect of the burial cloth. 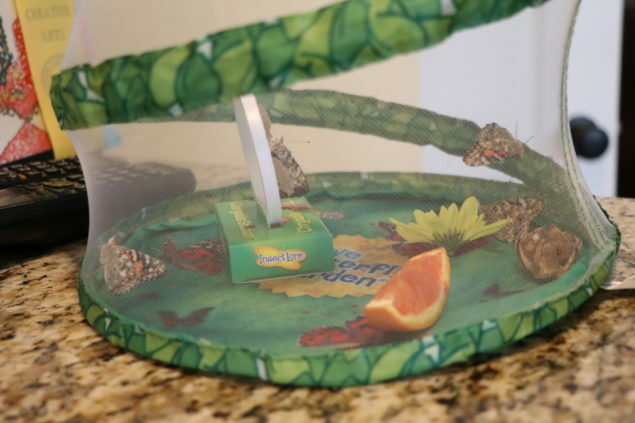 Once it’s completed, set the creation in the middle of the kitchen table (before moving it to its final destination) and enjoy a snack around it while reading the Resurrection story from Matthew 28:1-10. 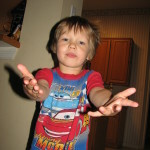 Looking for more teachable moments? Check out my book, Parenting with Scripture: A Topical Guide for Teachable Moments. 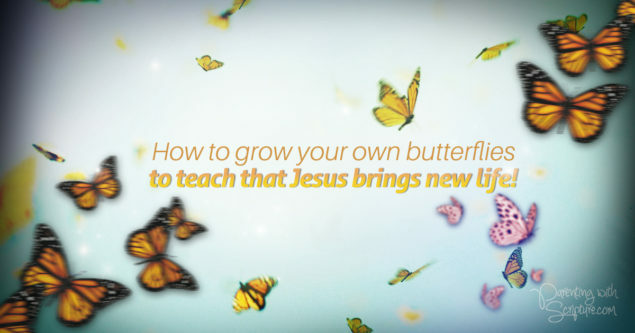 How to grow your own butterflies to teach that Jesus brings new life! 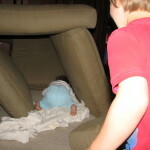 Ever since my kids did this in their Kindergarten class, I’ve been itching to do it at home. 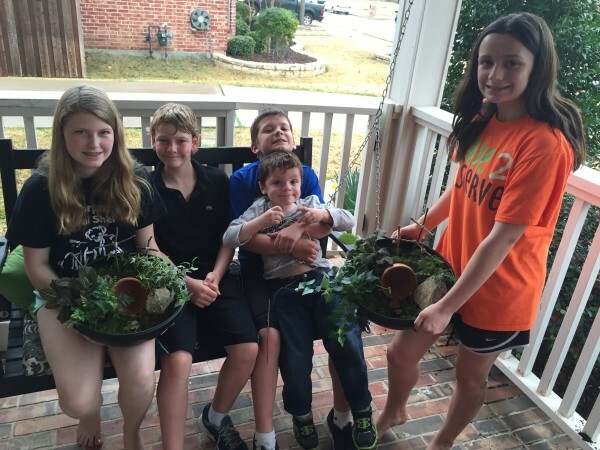 Last year, with a tween and a teen, I decided it was now or never! Though they are probably too cool to admit it, we all enjoyed the process. Click on the picture to order the same kit we used. 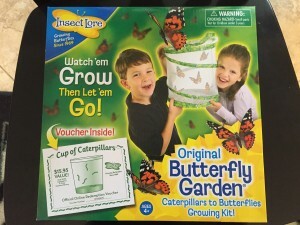 Inside is a voucher for ordering the caterpillars. (…and this is why I need to remember to NOT buy wrapping paper with white background. I will only show the start and finish, so you can discover the other phases on your own. It truly is a way to worship God through miracles of just one of His many creations! For those of you with little bitties (and really any age! ), simply use this home project as a springboard for talking a God, the creator, and how amazing He is! 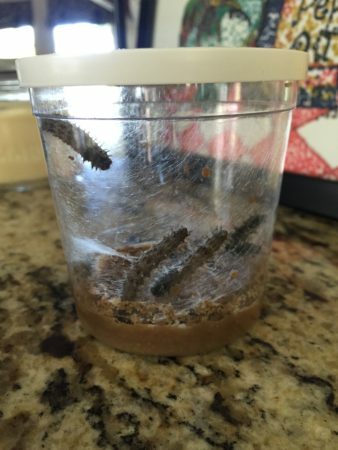 For those with kiddos old enough to think more abstractly, the analogy of the caterpillar to butterfly is a creative way to talk about the idea of Salvation. As Salvation is foundational for our Christian beliefs, I devoted 4 pages to it in my book rather than 2 pages as with the other 100 topics. Reference pages 190-193 of Parenting with Scripture: A Topical Guide for Teachable Moments for related Scriptures and more ideas on how to talk with your children about Salvation. 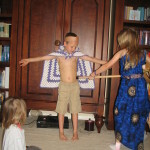 Holy Week- Jesus and Wii? A friend of mine posted this on Facebook last year and gave me permission to share. What a great week to discuss this topic with your children and even think about it for yourself. Have you accepted Jesus as your Savior? 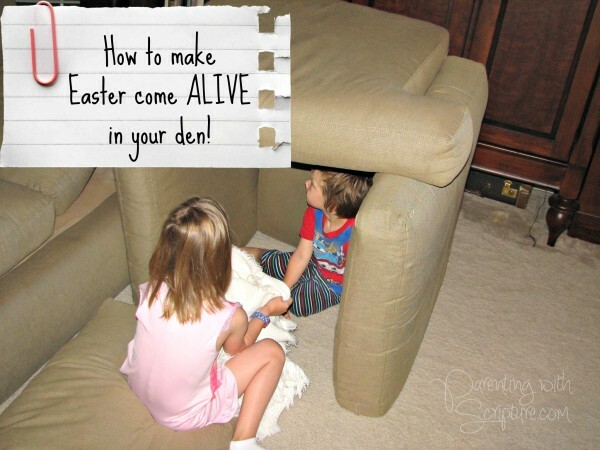 Easter: 4 Fun Hide & Seek Scripture Eggs Ideas! Fill eggs with nothing, except for one egg that has a picture of something or somewhere in your home. For example, the picture could be a Googled image of a refrigerator. 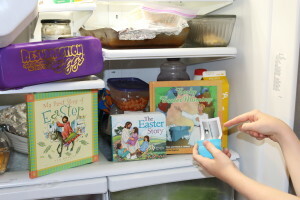 When the child finds the egg with the picture, it’s the clue to where you’ve hidden an Easter Bible story book or the Bible with the Easter passage marked to read aloud. Scroll down for the “copy and paste” fridge picture, ready for your use. 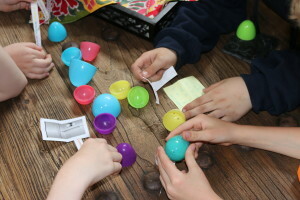 Fill eggs with words from a verse and help them assemble the Scripture after they find the eggs. Scroll down for the “copy and paste” version, ready for your use. 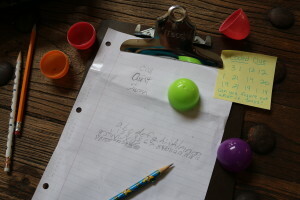 Fill eggs with sentences from the Easter story and help them order the story and read it after finding the eggs. Fill eggs with nothing, except for a coded number clue in one egg. Use a simple code (such as each number corresponding with a letter in the alphabet (A=1, B=2, etc) and write the letters of a number of someone they can call or text (enlist a friend or other extended family member for this) for the next clue. You’ll have previously instructed that person to text back a Bible verse address. 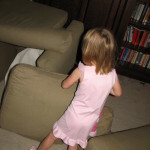 Then, the kids can look up the verse(s), read what it says, and the family can discuss it. These ideas could actually be used any time of year with any Scripture or Bible Story! for more topical verses to play with! 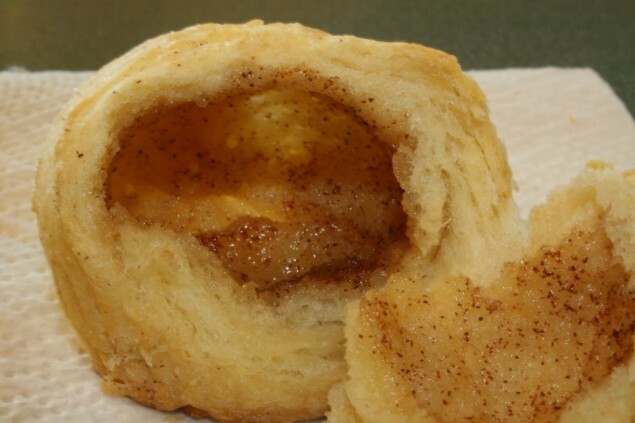 This fun recipe uses crescent rolls and a disappearing marshmallow to help your child understand the death and resurrection of Jesus Christ. Give each child a marshmallow. This represents Jesus. Have him/her dip the marshmallow in melted butter. This represents the oils that were put on Jesus’ body. Now dip the buttered marshmallow in the cinnamon and sugar which represents the spices used to anoint the body. Then wrap up the coated marshmallow tightly in the crescent roll (not like a typical crescent roll up, but bring the sides up and seal the marshmallow inside.) This represents the wrapping of Jesus’ body after death in cloth. Explain: At the tomb, Mary Magdalene and the other Mary saw an angel, who told them not to be afraid. No one had taken Jesus’ body, but He Had risen from the dead! 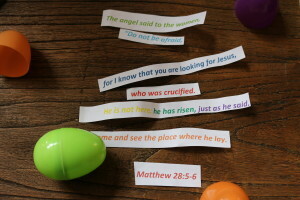 The angel told the women to go and tell the disciples what they had seen, that Jesus had risen from the dead! They were so excited, they ran all the way to tell the disciples the Good News! He is risen from the dead! Alleluia! Can you believe that Easter is just a month from today?! 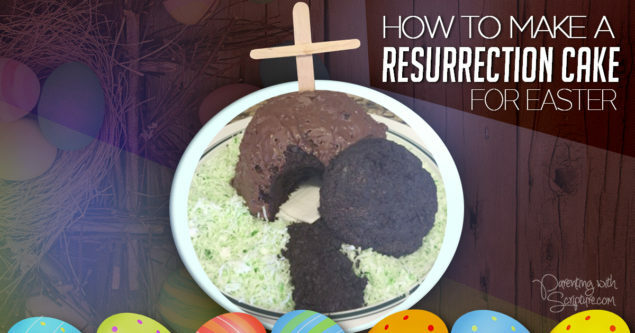 One of my favorite resources for this time of year is Resurrection Eggs. *Open one a day and tell that portion of the Easter Bible Story. 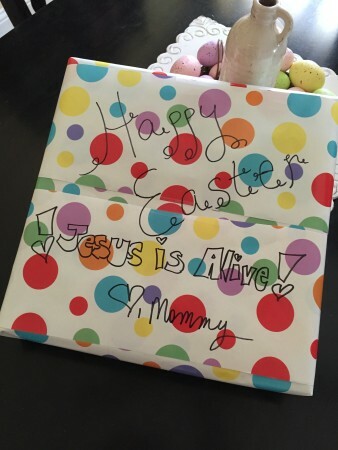 *Hide the egg you are focusing on that day and let your child go on a hunt for it before discussing the contents. *Once your child is familiar with the eggs and story, let him tell the story through the eggs. *Let him hide the eggs for you to find before doing a review.